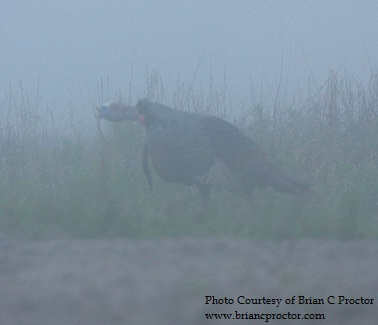 If you are like we are, your "turkey season" truly begins several weeks, or months, before the actual opener. While turkeys are undoubtedly on our brains 365 days out of the year, the first warm days of late winter begin to kick our anticipation into overdrive. In our home state of Alabama, the season opens every year on March 15, which means we start scheming up our opening day strategy probably a month before the season starts. In reality, the plans we make in our heads will likely be completely different than the ones we will have the evening before the hunt, thanks in part to our preseason scouting asserting that the turkeys, as they typically do, did not have care nor concern for our long term plans. Preseason listening is a big part of my personal strategy and enjoyment of the sport of turkey hunting, namely because spotting turkeys in fields is tough because I'm hunting mostly timberland. I typically start listening on my properties around the first of March. I start around then because I feel listening any earlier than that is "fools gold" and tends to send me and fellow hunters into panic mode (i.e. worrying about an early spring) if the turkeys are fired up in late February. Which brings up a good point, understand that you'll have some turkeys gobbling seemingly year round; I think it's important to know that sometimes turkeys "gobble for fun," while during the true breeding season they're "gobbling with a purpose." While there's not really a true defining line as to when this switches from the former to the latter, I feel the turkeys I would hear gobbling in late February and even the first week of March are simply "ear candy." When I do start listening in early March, I am really just trying to get an inventory for how many customers I'll have in a few short days. With that being said, I have a very cautious approach; the last thing I want to do is to put undue pressure on the turkeys. So I'll hang back, and as I start to hear turkeys gobbling in the distance, I'll either ease a little closer to see if I can hear more turkeys behind them, or head elsewhere to see if I can locate some more gobbling turkeys. The caveat is that in the early part of the breeding season, turkeys will likely be so grouped up that you will either hear them or you don't, so until they start splitting off into smaller groups you tend to have some "zero heard" comments on the score sheet. It's very easy to completely "miss" a big group of turkeys while listening. The week before the season is where my focus starts to shift from inventory to attempting to scheme up a plan for the opening morning. I'm really trying to find that turkey or group(s) of turkeys that gobble well on the ground, because those are typically the ones that are usually free of female company and thus those that are most vulnerable on opening day. I may opt to get a little closer to these turkeys as the situation allows, because I want to see if I can hear any hens or discern whether it's several bachelor turkeys in a wad (if given the choice I will always choose a group of semi-warm gobblers over a single hot gobbler). If I find an area that's home to some hot gobblers, and I feel as if that's a good option for opening day, I will then return to that area a morning or two before the season opens to learn whether those turkeys are calling that area home or were simply roaming. What I hear then will either make my decision for me or take me back to the drawing board. If they're frequenting that same area, then it's a matter of knowing the area well enough (or relying on good aerial maps) to finalize my strategy. This may seem a little intense to some people, but I am confident that this method will at least get me in a position to be successful on opening day. Again, be very cognizant of the pressure you put on your turkey hunting ground while listening. It's far better to lay back and play it safe than to run rampant through your property trying to hear one gobble. I want the first time a turkey to know I even exist is on opening day, when my shotgun blast sends him to the afterlife.